VSC Car Servicing Hounslow provide full, interim and major Mercedes Service, at prices that beat the main dealerships. We know you love your Mercedes - and so do we! Which is why we look after it as if it was our own. When we service a Mercedes, we give it the due care and attention that it deserves. All our vehicle servicing is done under strict observation of your car manufacturer’s service schedules and your car’s service history. In the event that your car is still under warranty, we can guarantee that it will still remain valid. We make sure that when completing a Mercedes service, we only ever use original equipment parts or equivalent quality so your car keeps its value and can run at optimum performance levels. If you’re not sure which service your car needs, check our recommended service schedules online or use our ‘check your service’ tool which helps to find out what service your car is likely to need. Your car’s service schedule is included in your handbook and it’s best to check your car’s service history to, so that you can make sure your car is getting the service it needs to run smoothly for longer. At VSC Car Servicing, we’ll check your car’s history and manufacturer specifications and, in addition to this, we’ll make sure that we tailor your car service to your vehicle. We go all out for our customers – we offer competitive prices, free collection and delivery for customers with 5 miles and valet facilities for your vehicle so you can leave the garage in a car that feels brand new. VSC Car Servicing specialises in servicing Audi, BMW, Mercedes, Mini, Porsche, SAAB, Volvo and VW models, as well as being able to work on most models of vehicles. We know nothing else but high standards at our Hounslow garage, making sure all our checks and test during your car service adhere to quality control processes. Regular car maintenance helps keep the value of your vehicle, as well as enabling it to run at maximum efficiency and save money on fuel. Customers want a quality car service when they book their car in at their local garage so at VSC Car Servicing we aim to please! 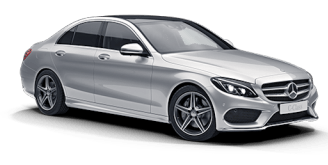 Whether you have a new or old Mercedes car, ignoring to Mercedes service your vehicle could run the risk of an invalid warranty. As a Bosch authorised vehicle service centre, we can guarantee your manufacturer warranty won’t be affected. In fact, choosing to annually service your car and keeping an up to date service history could benefit the value of your vehicle. Keeping track of all work completed within the service book, our Bosch car service stamp can help maintain the value of your vehicle and our high-quality work will help maintain its lifespan.